Safari Bookmarks are important because they helps you remember and easily get back to a certain webpage or webpages. They therefore should be kept safe and because you can backup Safari Bookmarks in either iTunes or iCloud, they are usually relatively safe. But sometimes the Safari Bookmarks on your iPad can simply disappear. There are a lot of reasons why you would lose your Safari Bookmarks. Some of the most common include accidental deletion, a software update and sometimes even a virus or malware attack. However you lost your Bookmarks, it is vital that you have a way to get them back. Here we look at some of these ways in detail. The following are three of the most effective ways to recover your lost Safari Bookmarks. If you had backed up your device in iCloud before you lost the Bookmarks, you can get them back by restoring the iCloud backup file. Follow these very simple steps to do this. 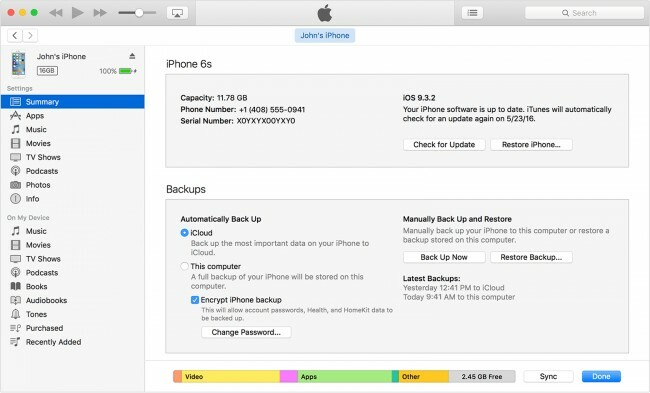 Step 2: Tap on "iCloud Backup" option ant turn it on. 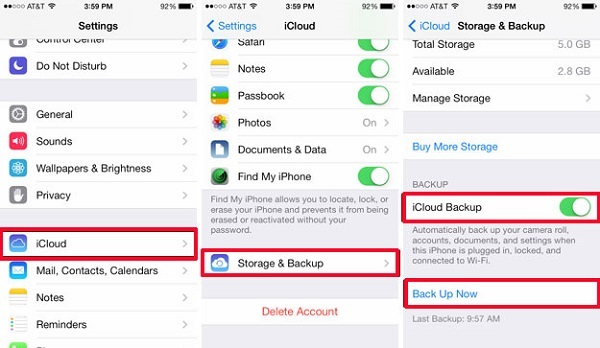 Step 4: Once the backup process is complete, tap Settings > iCloud > Storage > Manage Storage and you should see the backup you just made appear. Click on "Restore Backup" to complete the process. If on the other hand if you had backed up the contents of your iPad on iTunes you can get the Bookmarks back by restoring the device from the iTunes backup. To do that, follow these simple steps. Step 1: Launch iTunes on your Mac or Windows PC where the backups are located. Then using USB cables, connect your iPad to your Mac or PC. Step 2: Select the iPad when it appears in iTunes and select "Restore Backup from iTunes"
Step 3: Choose the relevant backup and then click "Restore" and wait for the restore to complete. You may need to enter your passcode if the backup is encrypted. Step 4: Keep the iPad connected even after it restarts and wait for it to sync with your computer. 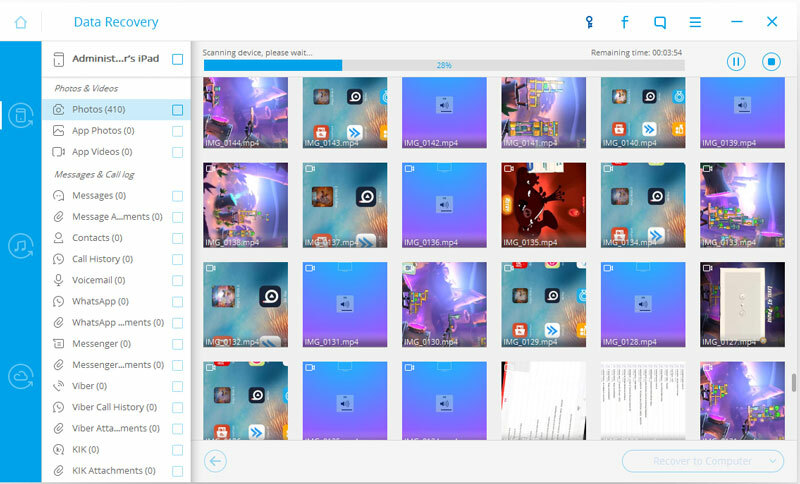 Wondershare dr.fone - iPhone Data Recovery presents the best method to recover the missing Bookmarks to your device. dr.fone is one of the best iOS data recovery software.One of the best features is you can selectively recovered data to your iOS device or Computer. This means that unlike using iCloud or iTunes, you don't have to completely wipe your device of all its files just to get back your Bookmarks. 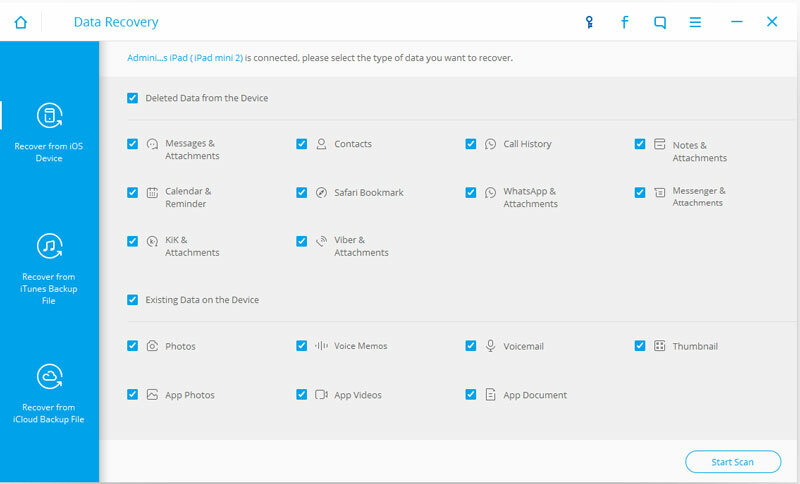 With dr.fone you can view the contents of the recover only the missing files. Step 1: After installing dr.fone on your computer launch the program and then click "Recover from iOS Device". Now connect the device using USB cables. Step 2: In the next window, click "Start Scan",the dr.fone will detect your iPad. 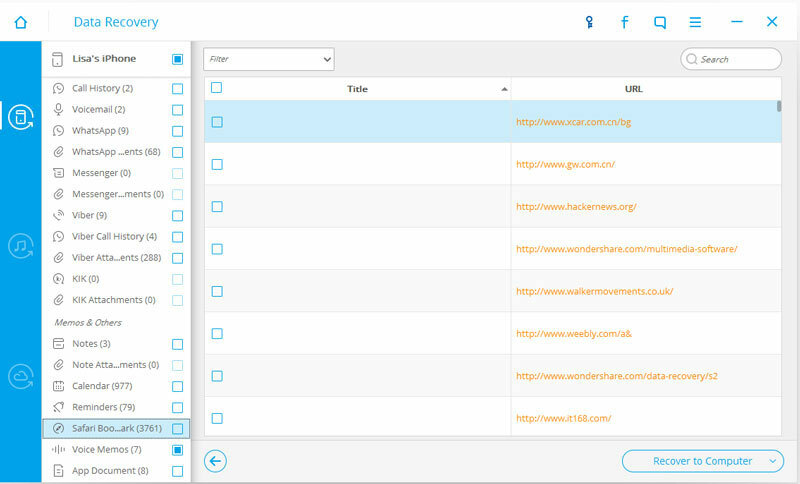 Step 3: After the scan process is complete,choose catalogue "Safari Bookmark",choose the contents you want to recover,just click "Recover to Computer". The main point here is, if you have a backup you will easily get your missing Safari Bookmarks back. 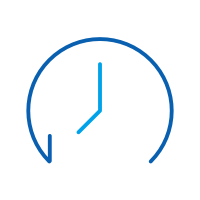 But dr.fone does make it easier to not only create that backup but also recover the missing data without having to completely erase your device to do it.